Math is hard, especially when you’re hungry. Thus many customers, when faced with the plastic glow of the McDonald’s menu, choose a Value Meal and assume that means we’re getting the best deal. It’s like bundling internet and TV, except French fries and a McChicken. 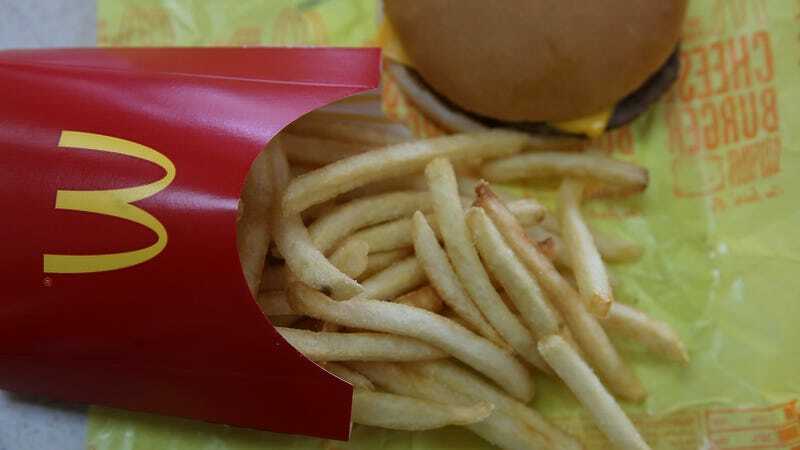 But a new lawsuit alleged that—gasp—McDonald’s Extra Value Meals can cost more than the same items ordered individually. The slightly higher price on the Value Meal essentially amounts to a tax on us dumb dumbs who don’t want to add stuff. Sure, the prices are there; we could do the arithmetic if we wanted. But we’re hungry, and maybe we’re a little high, and just pointing to a Value Meal and saying “that one” seems a lot easier. If it costs me an extra 10 cents, I’ll consider that a convenience fee.